1) California: California is the most developed and saturated solar market in the United States. In 2016, approximately 10% of all energy produced in-state was from solar generation. With $0.15+ per kwh rates, utilities with experience working with solar developers, and ample sunshine California will continue to deploy solar at a substantial clip going forward, particularly in the C&I and community solar markets. 2) Massachusetts: Out with the old, in with the new. 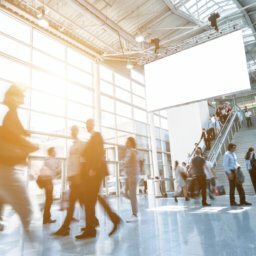 Massachusetts has begun to phase out their SREC II Carve-out program and replace it with the new and improved SMART program. SMART is expected to be one of the most attractive solar programs in the country in 2018 & 2019 with significant available capacity to be deployed. Read more about the SMART program and SCF’s SMART offering here! 3) Illinois: Illinois, much like Massachusetts has decided against pursuing a traditional SREC Program to achieve its RPS standards. Instead, it has established the Adjustable Block Program (AB Program) which offers fixed incentives over 5 years in order to encourage solar deployment. The AB program is still in its early stages but anticipated opening is Q4 2018 or early 2019. One thing to note here is that while the Community Renewable Generation category is substantially oversubscribed (some have said by as much as 500% or more), the Distributed Renewable Generation category (2 MW and less) is still relatively unsubscribed. You can read more about it from SCF here! 4) New Jersey: New Jersey is a challenging but exciting market. 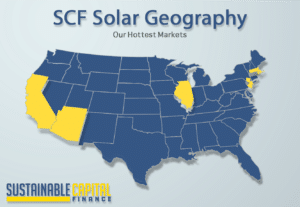 While the SRECs in the state are some of the highest in the country, their price volatility creates uncertainty and risk exposure for owners of PV systems. As a result, the cost of capital typically is the highest for states like New Jersey with uncontracted risk exposure. However, there is considerable discussion going on within the state related to modifying the current SREC structure to make it look more like the MA and IL incentive programs. Everyone will have to wait to see how these conversations ultimately play out. 5) Rhode Island: Rhode Island is a smaller more nuanced market than the previous states listed. There is a feed-in-tariff opportunity called the Renewable Energy Growth Program which allows developers to supply electricity directly to National Grid in exchange for a bid-rate locked in for a 20 year term. Similar to the MA SMART program, SCF can provide programmatic site lease pricing using the SCF Suite. Please contact us if you would like to learn more. 6) Arizona: Sunshine galore. Arizona has some of the highest insolation rates in the country. Combined with sophisticated solar developers & installers, Arizona is a state that is trying to compete with California for state-unsubsidized solar. As build prices continue to decline and the price of electricity continues to rise, we are finally reaching an inflection point where financing becomes an attractive option for this market. 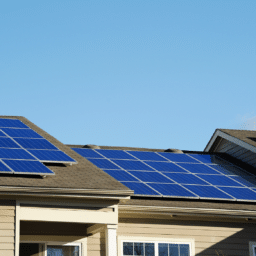 Performance based incentives (PBI), investment tax credits, and other incentives allow the solar industry to grow with a variety of solar financing options. In California, the presence of various PBIs allow for the state to reach its solar installation goals….